So Friday I spent some more time Practicing my team roping. Then Saturday and today, I spent some time helping Mom get ready for Winter Woolfest 2018. We didn’t have an exciting New Year’s Eve but we ate pizza and plan on getting a good nights sleep for the big team roping tomorrow. So Friday while Mom went to see her Aunt I went with a friend to my roping buddies house to get in a bit more Team roping practice. There is always a large roping on New Year Day and this year I plan to attend and Pray I bring home a paycheck. 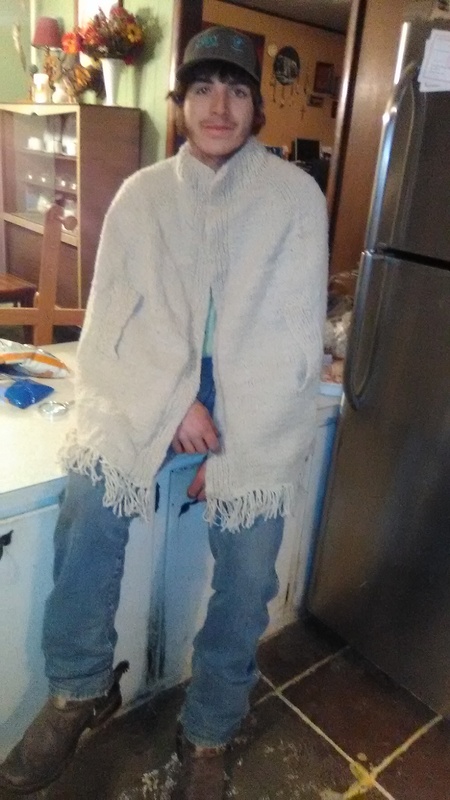 Mom brought home a wonderful surprise with her from My Aunt … She finished the Poncho. 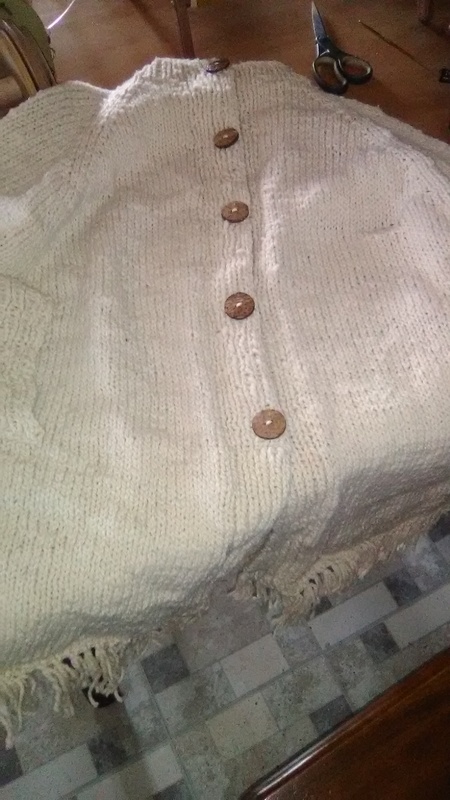 It still needs buttons and such but it is wonderful and it still smells like Granny. Yesterday with temperatures in the teens I didn’t want to get out much. So I took some time to help Mom get some things lined out for Winter WoolFest. I did a bit of Tumbling for Mom and found that while she does it and never says anything, if you do it long enough your arms feel like rubber. This morning the temperatures were still in the teens and I had no motivation to leave the house. Okay, I did leave one time and it was to pick up a stationary Bike. Then I came home and got to work. I started by cutting the front tire off the bike. Then I made a “drive band” of sorts and ran it around the front wheel and the tumbler. Guess what … we now have a leg powered Fiber tumbler. Mom also took some time to put the buttons on the poncho. I think the Bamboo is an awesome addition to the natural wool poncho. As for all of You, I Pray that you each have a Happy, joyous, wonderful, amazing, beautiful, awesome healthy and SAFE New Year! So Tuesday I went and practiced my team roping with one of my partners. 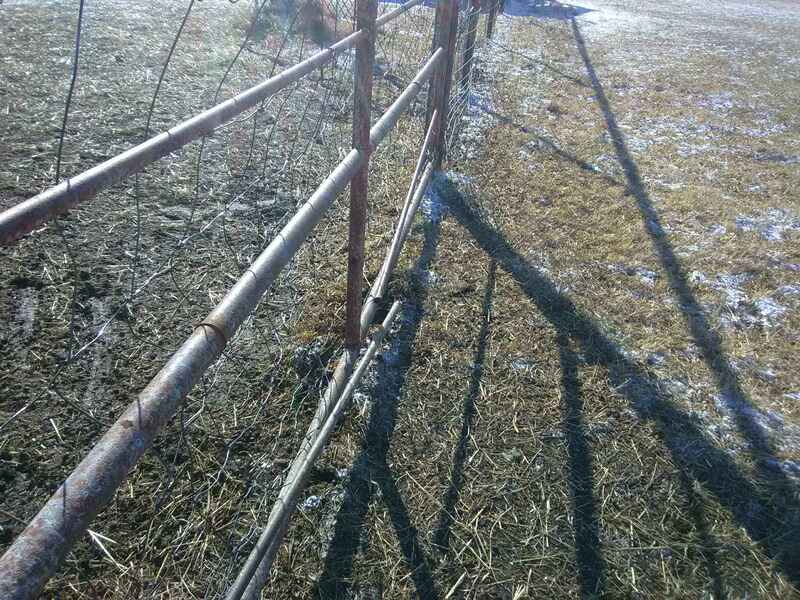 Then Yesterday it was way to cold for that but I ended up having to go cut a horse out of a fence. Then today it was more team roping and helping catch an injured cow. Tomorrow it looks like it might be more of the same. So Tuesday I did chores and then headed to one of my team roping partner’s house. We spent some time working on our team roping. While my partner roped really well, I didn’t do so great. I don’t know if it was because I took Ice or what but we just weren’t roping very good at all. I spent the whole day trying to figure out why. Yesterday, it was just to cold for anything. It was like 20 degrees out but felt more like 4. I decided to stay inside for the most part. However, that changed when I got a call about a horse with his leg caught in a wire fence. The owner was at work and couldn’t get to the horse so I set out to see what I could do. I got to the horse in little to no time. And sure enough he wasn’t going to be able to get out of the fence without some help from some wire cutters. This poor guy had the wire fencing not only around his legs but also between his hoof and his shoe. It took me a little time but the horse was calm and just stood while I cut the wire away. With the fence all cut away I took the horse to a pen and put him up until his owner could get there and take care of him. There really wasn’t any serious injury to the horse so I felt just fine leaving him in the stall. After that I called the owner and let him know what was going on. Today I headed back to my Roping Partner’s house to get in some more practice. Ice and I did better and things seemed to go more smoothly. When I got home I got a call that my Uncle needed some help getting an injured cow in so I set out with Precious to get that done. Not only did we catch that cow but we also caught her again when she got away. After that we doctored two other calves before I headed home. Yesterday was amazing. It was a Great way to spend Christmas Morning. Then today was almost as great with my family and a great meal. Oh and I got two gifts … One funny and one I love. So yesterday I started my day really early so that we could get everything loaded and to Tulsa and set up by 9:30am. We spent the next 3 hours with people interacting with the animals we brought to the Church as the living nativity to great everyone that came to the morning service. We met a lot of people and they were all super sweet. Some had stories to tell about family members who were raised on a farm. Others just wanted to hang out and pet the animals. I haven’t had a better Christmas Eve since I was a kid. This morning Dad let me sleep in while he did chores. It was kind of nice. By Noon Sister and her husband had showed up and we started with a huge meal Mom had prepared. We did advent, chatted and laughed while we ate. It was great. After that we exchanged gifts. Mom got a food processor (her’s broke a few months back), Sister got her roku (it is all she has for TV as she doesn’t have cable) and I … Well, I got an amazing new Hackamore Bridle to train horses with. It is a Bosal style hackamore and I can’t wait to try it out. For tonight we are just chilling at home. We are eating dinner, watching a bit of our Roku and relaxing. Soon we will all be headed off to bed and bring our family Christmas Day to an end. MERRY CHRISTMAS everyone … I hope your day was as amazing and Blessed as ours was Here on the Straw Family Farm!!! So last night snow came to the farm. I woke up to a small layer of snow covering everything. My toes were cold just looking at it. Then with morning chores I found that Burl had a bloody head and the gate in the ram pen was busted. Good thing the day didn’t turn out to be as cold as it looked. By Lunch the snow was gone and I had work to do. So I got up to a bit of snow on the ground and a whopping 20 some degrees. However, when I went to do chores I found it really wasn’t all that bad out. There wasn’t much for wind and the sun was shining making it feel more bearable. I headed out to do chores like normal only to find that Burl had busted part of the ram pen gate with his head. Once we worked out what we would need and where to put everything, I headed to the roping arena to get in a bit of practice. While I was at the chutes I took the time to worm Donkey Kong. I have to admit, he is doing wonderful. While I had to put him in the alley way to get ahold of him, I took the time to love on him and he never once acted like he wanted to bolt. He also didn’t just stand there and shake like last time. I know he has a long road ahead of him but Man, was it great to see him trusting that I wasn’t going to hurt him. Donkey Kong starting to trust is something I didn’t really think would happen this fast. Truly a Christmas blessing for both him and us. When Dad got home we got to work actually getting the panels on the trailer and things like the hay and table loaded into the back of the truck. While I was out there I went ahead and got the chores done. Now it is time for dinner. Mom made a nice Hot soup so I will fill up on that and get a shower before I head off to bed and get a good night’s sleep. That way I will be good and rested for our early trip to town as a living nativity. Hope to see you all there …. If not in person at least in Spirit. So the cold front came in. That made for a day inside. Well, for the most part anyway. There were a few things that had to be done but after that, I hung out with Mom and just spent the day getting some things done. So after the morning chores, Mom had an appointment with our extension agent to get Star’s inspection. He came out, saw her and signed off on her being healthy. Mom made quick work of getting it in the mail back to the BLM. After they get it and issue her certificate, she will be Moms. Once Star’s inspection was over with I took the truck and went to pick up the feed order. With the holiday coming up, I had to get it before the days they were closed or had shorter hours. We are using a bit more feed nowadays. 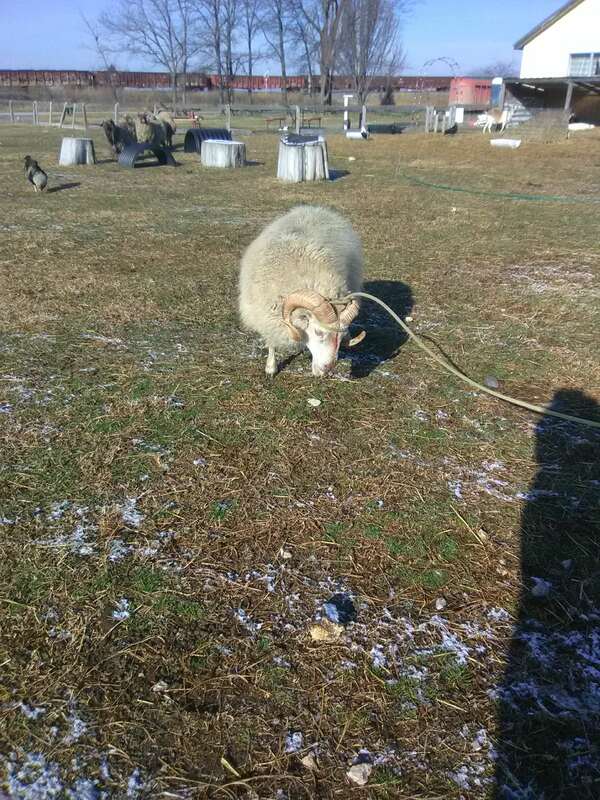 The reason being that the sheep on the pasture are now getting supplemented along with the increase to everything else so they can handle the cold. I got home in time for lunch and then after that Mom and I hung out. We watched a bit of TV and did a bit of Baking. The big project we did was cleaning off part of the desk. When Dad got home we went to unloaded the feed before we did chores. After dinner it got a bit interesting around here. Mom gave Moose a bath which he hates. Then it was Pig-Pigs turn. Pig-Pig loves her baths but she hates getting in and out of it. So I had to carry her from the kitchen to the bathroom with her squealing the whole way. Once she got in she was happy. She played while Mom washed her. Pig-Pig loves to blow bubbles in her baths and I don’t mean farting … LOL … When she was done I had to repeat the whole removal thing to get her out. It was all amusing. So Tuesday I worked for my Uncle and had an issue that kept me from my practice roping. Then Wednesday I worked for another guy building fence and today I got a call to again go help my uncle move some cows around to get ready for the cold front. That left the work on our farm to get done before the cold front moves in but that fell to Mom. 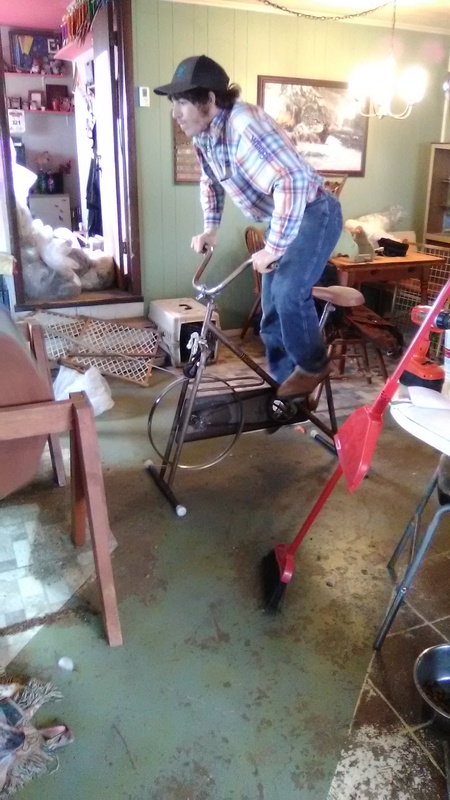 So Tuesday My Uncle had some cattle he needed to get worked. There were three cows that needed roped and doctored. When I got there though we had to load a trailer load of Cows out first. After that I loaded up and headed to a team roping practice. Only to have the truck we were in break down on the way. In the rain we finally got it fixed but ended up just getting a bite to eat before heading home since we were to late to rope anyway. It wasn’t our truck or trailer but there were like 5 of us in this truck and none of us were mechanics. So we had to call a guy to come get us going again. Wednesday I headed out to go help a man build some fence. He is an older gentleman and he has heart trouble. I took with me a plate of goodies for the Christmas season. He was happy and said he had to have a cookie every night before bed so he would be enjoying those for a few days. We worked most of the day and got three strands of Barbed wire up and in place to keep his cows home before he decided he had done enough for the day. I came home to find that Mom had cleaned Almost 4 stalls that were Very dirty as Dad had been over feeding the horses. Dad told Mom that he wasn’t over feeding them and that they were eating it all. But when Mom went to get things done for the cold front coming in she found that he wasn’t exactly honest with her. The stalls she started with had about a foot of hay and poop in them. Not to mention the urine and the smell. When I got to the house and saw what Mom had done I helped her finish moving the piles of stuff. Then I headed into the barn to help her clean the calf shed. That is the same stall she just cleaned a few days ago and Dad just keeps throwing hay in on the poop and not giving the calves any place clean to sleep or eat. Needless to say Mom was not happy. I can’t say as I blame her as she not only cleaned that stall but the entire barn and Dad just doesn’t get the fact that he needs to clean up after himself around here. Anyway, Today I got up and headed out to clean the last two stalls. Okay so it was just a stall and a half that Mom didn’t get finished yesterday. I did the half stall first to get it out of the way. By the time Mom got off the phone confirming our Christmas Eve Plans I was at the last stall and we cleaned it together before heading in for Lunch and to podcast. After lunch the plan was to sort horses and then I was going to rope but I got a call from My Uncle and he said he needed a bit of help again before the cold air gets here. So Mom and I sorted the horses and put the Men out on the pasture and put the girls up. Whiskey and Precious are now in the new stalls and Coop and Star are stalled by themselves as they fight for the Alpha position. I got home after Dark and Mom had all the chores done. She isn’t taking chances with Dad doing them anymore as half the time he only does half of them and the other half the time he over does them and trashes the stalls. Anyway, tomorrow Mom will get Star inspected, I will go get feed and then I will be back up helping out my Uncle get a Cow in that is crippled. Yup, cold weather brings a lot of work for a farmer. Then again it also makes for some down time after the work is done. Yesterday I spent the day at a roping. Today it turned colder and I spent most of my time in the practice pen. That is when I am not in the restroom. So yesterday I headed to a team roping with a friend. We took their truck and our trailer. I did okay and even made it to the short go round but was one spot out of the money. That means I came home with no paycheck … again. I didn’t get home until midnight so I headed right off to bed. This morning Mom had Christmas orders to get delivered and she was headed to go see friends. So I hit the roping pen. It was colder today so I took a lot of breaks. On one such break Dad offered to cook us up some hotdogs for lunch since Mom was gone. I took him up on it and then headed back out to get in some more roping. By the time Mom got home I was starving again. The hotdogs Dad made were a bit over cooked and really not very good, but I had been hungry so I ate them. Mom had set right to work whipping up some good food for dinner, when it hit me. My stomach did a Flip. Then a Flop. Then other parts of my body started spewing. I have no idea why but I am blaming Dad’s cooking for not agreeing with me. As I type this I am running to the restroom many times over. So I think I will bring this to a close as you all know how I will be spending my evening. Yup, even Cowboys get the runs from time to time and for me this is one of those times. I am hoping with a bit of sleep that tomorrow morning I will be right as rain.